Stainless Steel a "green metal" 316L stainless has a +60% post-consumer recycled content and ability to be worked in many different finishes. 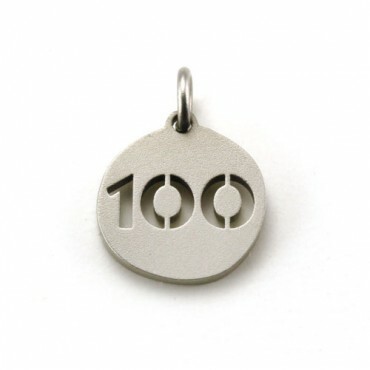 It can be cut or cast and made in many finishes, including brushed and sand blasted. It will never tarnish, is very lightweight and strong. It's a great substitute for gold and silver.. 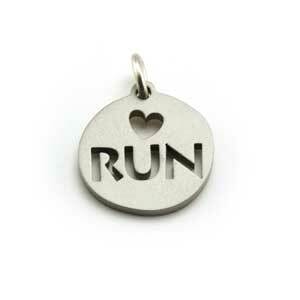 Description: Running Charm in cut stainless 316L Charm is 12 mm in diameter. 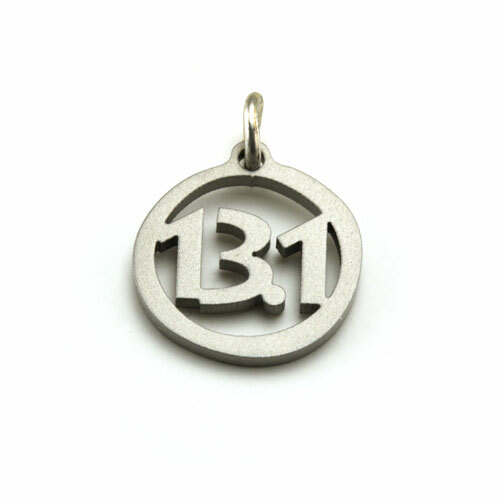 Description: Running Charm in cut stainless 316L . Charm is 12 mm in diameter. 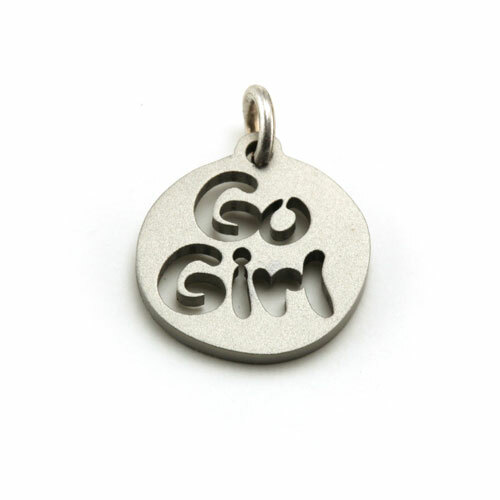 Cut stainless 316L charms can be worn on the 1.5mm ball chain necklace or as charms on a bracelet. 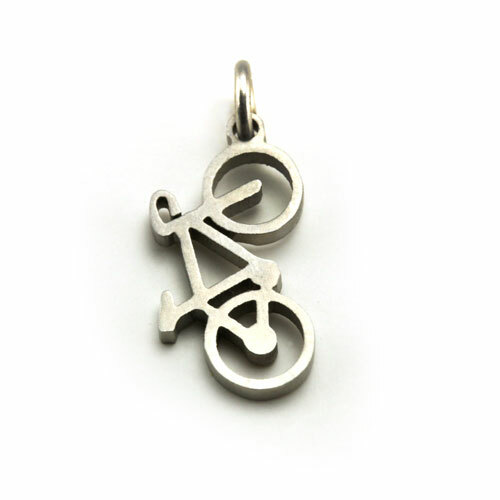 Charm is 12 mm in diameter. Note: charm only. 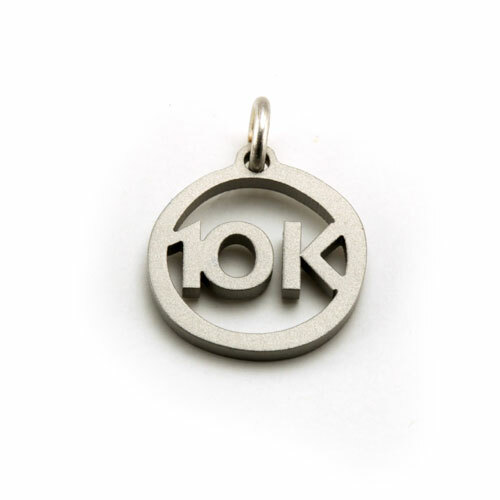 Description: Running Charm in cut stainless 316L ). Charm is 12 mm in diameter. 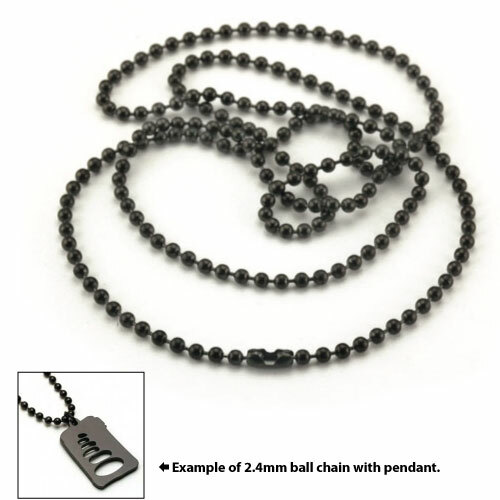 Cut stainless 316L charms can be worn on the 1.5mm ball chain necklace or as charms on the bracelet (100310). 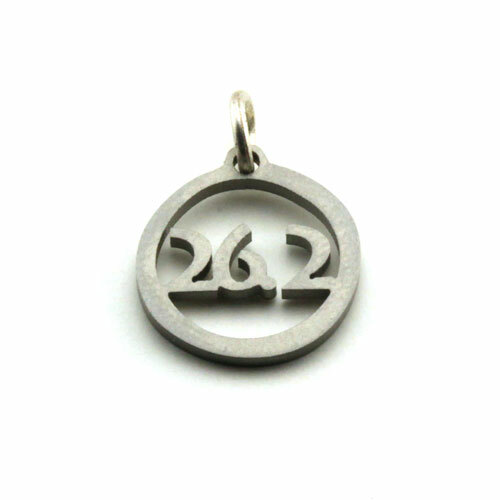 Charm is 17.5 mm Tall. Note: charm only.